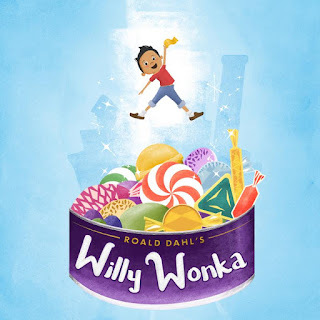 Roald Dahl's Willy Wonka. It follows Charlie's magical adventure, when he wins a tour of Mr. Wonka's chocolate factory. It's been adapted for young audiences. They offer Friday dinner performances, with free pizza for all. At every Friday night show, everyone gets a free slice of pizza before the show. Juice boxes and extra slices available for purchase.